It was a blast! I really had fun with my new set of friends. 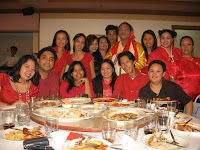 It was held last Dec. 8 at Jade Palace resto along Shaw Blvd., Pasig. 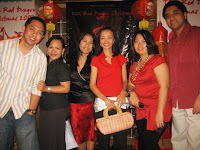 We all had fun (even though we didn't get to win the trip for two to HK). Food was great. The emcees are great (our big bosses). And I promise myself to attend the future parties to come. I really, really enjoyed it. If you're curious what I got to take home that night? Err, one pack of hopia. Lols.